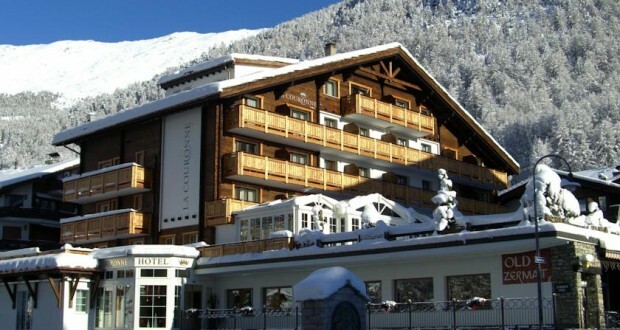 The 3-star-superior Hotel La Couronne is in a quiet and central place in Zermatt, offering Matterhorn views, free Wi-Fi, an internet corner, a sauna and an on-site sports shop. Within a 10-minute walk of the property, you can reach all cable cars. You can start your day at the rich breakfast buffet in the conservatory and enjoy Mediterranean specialties, regional cuisine and vegetarian dishes in the Old Zermatt Restaurant. Whether you need ski clothing, snowboards, sunglasses or a mountain bike, the Couronne hotel’s sports shop has everything. As a hotel guest, you can take advantage of special discounts. From the sunny terrace and from most of the rooms, you can take in superb views of the famous Matterhorn mountain. After a day out in the fresh mountain air, you can relax in the sauna or find some peace by reading a book in the Matterhorn Lounge.